“Medicines contribute significantly to our health. About half of all therapeutic interventions involves the prescription of a drug. Pharmaceutical companies have made it possible to cure patients with hepatitis C. From a deadly disease, aids became a chronic disorder. New promising cancer drugs are arriving. But the sector has a bad image, because its profits are considered to be too high. Critics accuse the companies of large-scaled manipulation of research data. Farmabashing has meanwhile become a national sport. 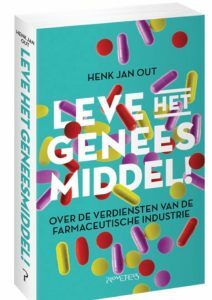 Published in September, 2016, in Dutch at Prometheus. In the Netherlands many initiatives have been developed to professionalize the education for clinical researchers. Methodology and regulation are becoming more complex which makes the conduct of clinical trials an increasingly professional activity. The times that a resident in training was performing a clinical study next to his/her clinical duties are definitely gone. 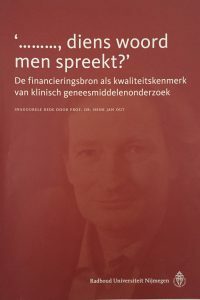 Good reasons therefore to publish a Dutch-languaged handbook on this topic. 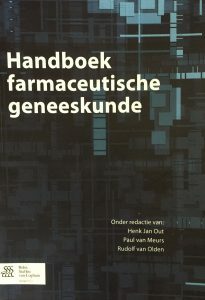 This “Handbook of Pharmaceutical Medicine” tries to elucidate briefly some of the most relevant aspects of clinical trials. The systematic approach will contribute to insights into the complete picture of medicines, both in terms of clinical research and the legal/regulatory/quality framework. This handbook is meant for everybody in the Netherlands working in clinical research, from Clinical Research Associate and Clinical Project Manager, to Research Nurse, PhD-student or associate/adjunct professor. But above all for everybody that carries responsibility in hospitals for the correct performance of clinical trials.